In this chapter we explore the American collective memory of the Vietnam War. 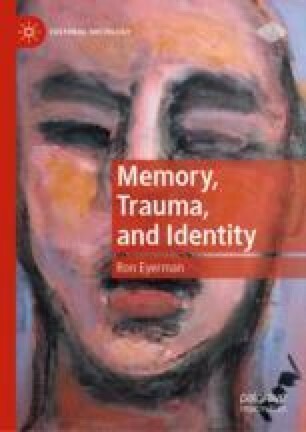 Using the theory of cultural trauma, we elucidate the ways in which the memory of the war continues to impact American collective identity and the social processes through which this memory is constructed and maintained. Our central point is that collective memory exerts a powerful and continuous influence over how individuals and collectivities think and act. We argue that collective memory is represented and reproduced in narrative form through various modes of transmission, including oral telling, literature, music, drama, film, monuments, museum installations, and commemorative events. Through such media and related ritual practices, the stories and myths that congeal as collective memory serve as the foundation upon which collective identity rests, a collective identity that in the American case continues to be haunted by its defeat in Vietnam.